Another powerful explosion rocked Damascus on Monday in the eastern district of Qaboun. Syrian TV reports many wounded in blast; incident comes after a series of car bombs in central Damascus last week, the most serious of which killed at least 60 people, according to activists. A powerful explosion shook the Syrian capital Damascus on Monday, residents reported, and state television said it struck the eastern district of Qaboun. 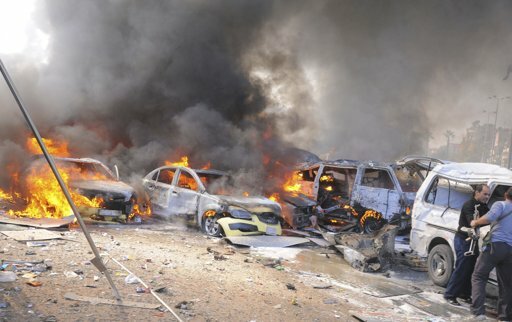 The Syrian Observatory for Human Rights said that the blast was caused by a car bomb, and that five members of Syria’s security forces were killed in the incident. They also said the blast was followed by heavy clashes between rebels and forces loyal to President Bashar al-Assad. The force of the explosion in the Qaboun neighbourhood shook the Syrian capital at around 9 P.M., residents said.